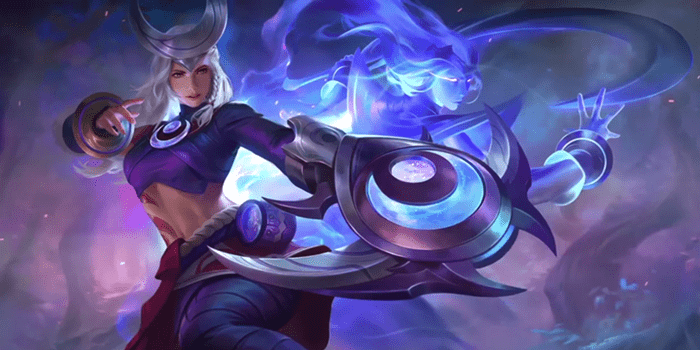 Guide for the hero Lindis, a character in Arena of Valor (AoV). Included are Lindis' abilities, statistics, attributes, strengths, weaknesses, and more. Physical When Lindis passes through the brush, she will increase her movement speed and strengthen her next normal attack for 2.5 seconds. The strengthened attack will fire 2 arrows with each arrow dealing (+0.65 AD) physical damage. Strengthened attack duration will last 2.5 seconds. 4-second cooldown. Lindis will retain increased movement speed for a short period after exiting the brush, regardless of what the timer displays. Increased movement speed rescaled from 25/30/35/40%. Lindis illuminates the area around her and reveals the location of nearby enemy heroes for 5 seconds. This ability can be stored 2 times. After learning this ability, when Lindis hits the same enemy 3 times, the target will suffer an additional 140 (+0.2 AD) physical damage. Lindis sets a trap that lasts for 2 minutes. The trap will slow enemy movement speed by 30%, reveal enemy locations, and after a short while deal 360 (+1.2 AD) physical damage. Lindis can store and set up to 2 traps. Traps will become invisible 2 seconds after being set. Lindis calls forth a spirit to attack enemies, dealing 160 (+1.0 AD) physical damage and adding any bonus normal attack effects from equipped items or buffs. She can store this ability up to 5 times. Our recommended order for Lindis’ abilities as she levels up. See all of Lindis’ item builds. Will piercing gaze reveals Batman and Wukong invisibility?